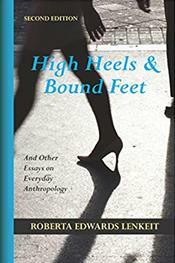 The lucid essays in the original edition of High Heels and Bound Feet drove lively discussions and engagement with core anthropological concepts in traditional and online courses. Lenkeit showed how one's daily life at work, at school, at home, and at play could be more engaging and provocative when viewed through anthropology's multifaceted lens. The slightly expanded Second Edition is freshened by the addition of seven new essays. Each continues to illustrate myriad possible applications of concepts and methods from anthropology to everyday experiences. ...While essays focus on cultural anthropology, the inclusion of topics on linguistics, biological anthropology, and archaeology brings attention to the holistic nature of the discipline. All essays conclude with material useful for assimilating content: Thinking It Through, Anthropological Terms, and Thinking Practically.